April flew by and May flowers are here! Below, find 40 links to flower activities to use in your speech and language sessions. 1. Grow a flower at Starfall.com. Use -ing verb endings and practice sequence vocabulary (first, next, and last). 2. Arrange flowers at Chateau Meddybemps and practice carry-over skills. 3. Grow a flower, keep a photo journal, and tell about the sequence. 4. Watch a flower open and close. 5. Talk about Snuffy's Magic Garden. 6. Watch this clip to plant a flower seed with Ernie. 7. Try simple craft activities at Preschool Express. 8. Find visual supports for gardening, flowers, and spring at SET-BC. 9. Create a spring flower. Label the parts. 10. Plant artificial flowers in brown play-doh or make "dirt play dough" and put your flowers in the dirt. Use appropriate verb tense and practice position words such as next to, beside, in front and in back. 11. Read The Tiny Seed by Eric Carle. Visit The Dynamic Duo to read how this book was used in therapy. 12. Read and discuss Planting a Rainbow by Lois Ehlert. 13. Recreate the articulation garden at Simply Speech. 14. 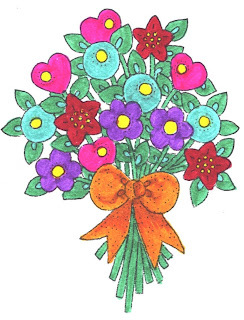 Find Category Flowers at Let's Talk Speech-Language Pathology. 15. Download the free companion activity to Grow Flower Grow by Lisa Bruce at Teachers pay Teachers. 16. Sort artificial flowers by size, type, or color. 17. Make comparisons while making and / or reading a seed book. 18. Talk about Dottie's Garden. Pretend play to elicit spontaneous speech, practice answering and asking questions, following directions, taking turns, making predictions, and more! 21. Let's Build a Flower Shop! 22. Free Printable - Spring Flower Matching Game. Use for describing or add target words. 23. Tell the steps of growing a strawberry plant at Happy Little Farmer Lite. 24. Plant a garden at DuckieDeck.com. Express spatial concepts, color words, and increase sentence length. 25. Flowers Everywhere - Teach under. 26. What's on the Flowers? - Increase sentence length. Teach is + on. 27. Visual supports and more at Boardmaker Share. 28. Check out Learning Vocabulary While Growing Plants at Bilingual Therapies. 29. Plant seeds and care for plants at Dora's Magical Garden. 30. Read and discuss Flower Garden by Eve Bunting. Play in the garden at PBS Kids. 34. and 35. Play a tulip color matching activity and expand sentences while reading the Tulip Color Classroom Reader at Make Learning Fun. 36. May Flowers File Folder Game, a blank game to use for any skill, from Little Learning Lovies. 37. Make Crazy Speech World's flowers and add your own target words. 38. Wonderful printables for sequencing, phonemic awareness, and retelling at Home School Creations. 39. 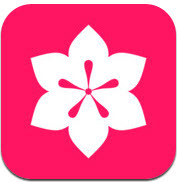 Choose a flower and change the color, number of petals, and size at HelloFlower. Great for describing, expanding sentences, and following directions. Label the parts of the flower, talk about the concepts top, middle, and bottom, and practice verb tense. A good app for your older students. 40. Visit Tar Heel Reader to find many books, about flowers, to print, read on-line or download to your tablet. Bugs - Just Crawling with Ideas!